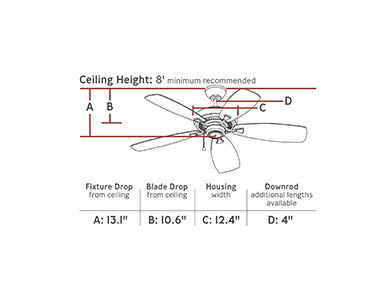 Featuring clean lines and a slim housing profile, the 52” Designer Max ceiling fan by Monte Carlo not only provides powerful airflow with 6,257 CFM (cubic feet of air per minute), but also adds refined style to a wide variety of room décor. 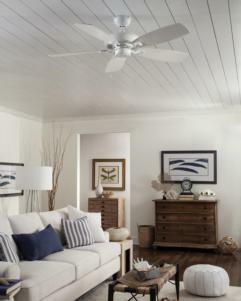 This versatile fan is offered in four finishes with reversible dual-finished blades and a dual mount canopy. 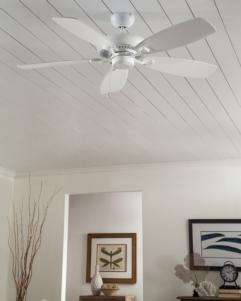 The blades are double beveled, which results in better air flow, increased energy efficiency, and tailored look. Optional remote control and light kit are compatible and sold separately.